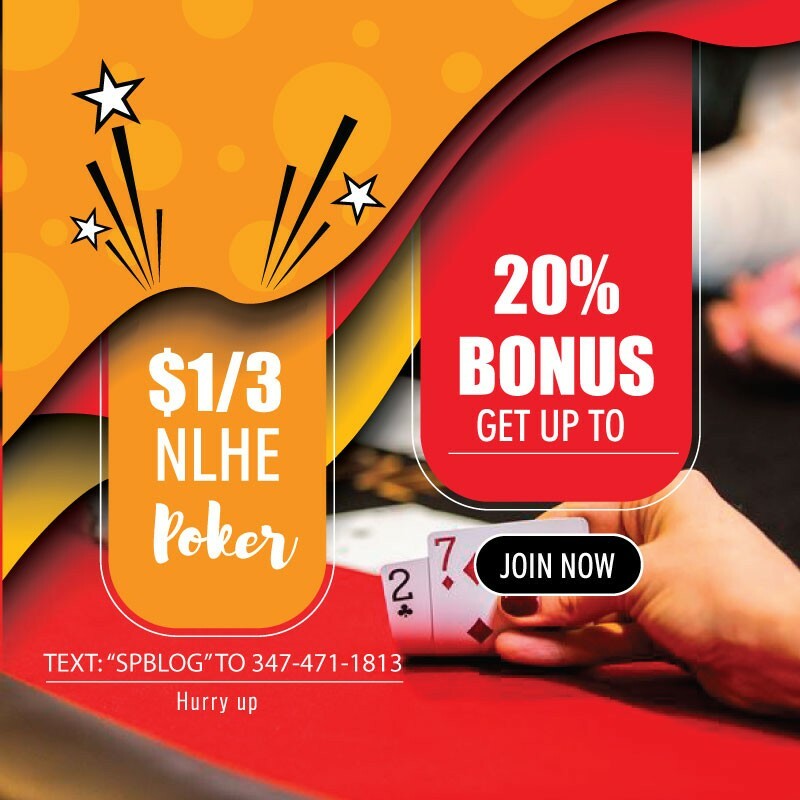 This writer would join in as the four-card game generally is more fun to play pot limit as no limit Omaha usually requires an absolute disregard for money and bottle service. But, the World Championship of Online Poker Event #18 $530 buy-in Pot Limit Hold’em would ditch the extra two cards yet still bring the excitement of big-bet poker. The two-day tournament sent 23 players back overnight (from a total of 413 plus 197 re-entries) for a shot at the WCOOP title. For after four hours only three remained: knaller77, AJFC6819 , and three-time Spring Championship of Online winner SsicK_OnE. SsicK_OnE would take another hour to eliminate AJFC6819 and at first was looking to play it out. And stuck to that line as knaller77 clawed back to take the lead and eventually the Event #18 title earning $53,235.93. Plenty of storylines for the start of day two as the overnight chip-leader, Dario “Secret_M0d3” Sammartino, will be looking at a WCOOP title to the 2016 Spring Championship of Online Poker Event #24-H high roller title. While the top prize here will not quite match the $718,217.50 earned last year, the WCOOP title would add a leg to a possible Triple -COOP. Directly behind Sammartino in chips is Rui “RuiNF” Ferreira who already owns WCOOP (Event #14 – 2015) and SCOOP (Event #8-H – 2014) wins and will be trying to add yet another major title. A little further down the ladder, was a player I watched through the powers of the internet last night. Graftekkel would take down Event #20 and immediately hopped into this fray, making it to day two with a little less than average chips but only 22 players away from a second WCOOP victory in as many days. A second victory would boost Graftekkel to the top three in the Player of the Series race, currently led by PSMozak on the strength of two runner-up finishes and five other cashes. Graftekkel wasted no time trying improve chip position on the first hand going all-in pre-flop against SsicK_OnE with pocket sixes. SsicK_OnE’s sevens would end the Event #20’s champ day in the fastest way possible earning $2,536.25 in 23rd place. This was the beginning of SsicK_OnE’s race to dominate the re-start. A few hands later facing que_te_crio (who is no stranger to -COOP final tables) would trade bets pre-flop until 4.9 million chips sat in the middle, good enough for a commanding chip-lead. Red queens for SsicK_OnE and black aces for que_te_crio. A diamond laced board would ship the huge pot to the three-time SCOOP champ and huge chip advantage with two tables left since the overnight chip-leader decided to sleep in a little too late and has been sitting out since the re-start. A surprisingly fast-paced first hour would leave only 11 left as AJFC6819 leapt out in front of the pack with SsicK_OnE firmly in the second position. Former PokerStars Pro Christophe “chrisdm” de Meulder was staying alive as was Sammartino who finally grabbed a Starbucks and a Red Bull to join us. 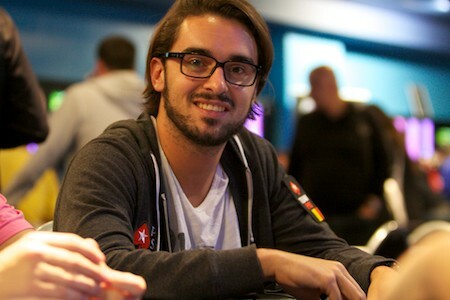 Shortly after the break Ferreira would leave in 11th place ($3,877.92) setting up a lengthy hand-for-hand period. IAmSoSo is more than okay, winning WCOOP Event #57 back in 2015, nearly a SCOOP title this year with two final tables. But, the Swede was unable to release pocket fives 5♦5♠ after a 3♠9♦9♥ flop and a bet big enough to go all-in from knaller77. Knaller77 calmly turned over aces A♥A♠ as IAmSoSo did not catch the two-outer on the turn Q♦ nor river 6♥ to start up the final table. At the final table (nine-handed) Sammartino no longer held the cushion of the chip-lead and a half hour found A♥K♠. Knaller77 was game and covered all bets pre-flop showing pocket queens Q♦Q♥ which flopped a set and turned a boat. The full house was necessary as the ninth-place finisher ($4,795.11) Sammartino would river a straight J♠ Q♠ 6♦ J♥ T♠. Christophe “chrisdm” de Meulder took down a €200 event the Unibet Belgium Open around this time last year for €6,585 then no poker playing activity (at least none that databases would track) until he popped up at this final table. He would make a spirited run for his first -COOP title but fell short after his pocket nines were not enough to overcome Jansons55’s tens when the two got it all-in after a queen-high flop. Hopefully this marks a return for the talented de Meulder who earned $5,929.32 in eighth-place. Our remaining seven would play over a half-hour until two quick knockouts would further lighten the table’s load. First, SsicK_OnE would three-bet marlin5555 all-in holding Q♠K♠ as marlin5555 made the call with A♥J♥. Marlin5555 was trying to avoid another near-miss in a major, runner-up last year’s Turbo Championship of Online Poker’s Event #34, sixth-place at a Super Tuesday, and most recently a seventh-place in the Sunday Million. Which is where marlin5555 ended up today after a queen fell on the river 7♣ 4♣ 5♣ 6♣ Q♦ earning $8,112.87. Five hands later with SsicK_OnE winning the last five out of six hands, the chip-leader would put dimcrete all-in pre-flop holding K♦J♠. Dimcrete’s suited connector 8♣9♣ did not suit nor connect with the A♦ 4♥ Q♠ 2♣ 5♦ board taking away $11,100.59 in sixth-place. Eliminations seem to come in spurts late in this game. Shortly after the fourth hour of play in day two, the other big stack, AJFC6819, would put Bernardo “bedias” Dias to the task pre-flop. The Super Tuesday winner would flip T♣A♣ versus AJFC6819’s fives 5♣5♠ and watched AJFC6819 acquire an unnecessary straight K♣ 7♦ 4♠ 8♥ 6♠ claiming $15,188.57 in fifth-place. Four hands later Jansons55 would try to climb from last place. After hitting a flopped 5♦ 9♠3♦ top pair Q♦9♣ Jansons55 would go all-in as AJFC6819 made the call with an overcard and flush draw 8♦K♦. The flush got there on the turn T♥ leaving Jansons55 drawing dead in fourth-place ($20,782.05). After an hour of three-handed play it would come down to fading a flush and straight draw for SsicK_OnE. Already holding more than half the chips in play, SsicK_OnE faced an all-in turn bet from AJFC6819 with the board showing 2♥ 8♠ T♦ J♠. The chip-leader had to pause before calling with top pair 9♠J♥ as AJFC6819 flipped up the straight and flush draw, plus overs Q♠K♠. The blank 3♣ on the river secured third-place ($28,435.42) for AJFC6819 and started up heads-up play. SsicK_OnE initially rebuffed a request for a deal, quickly starting working and opening up the lead to add -COOP title number four. Within twenty minutes knaller77 was down under three million with blinds at 100K/200K ante 25K. But, another twenty minutes later knaller77 won a flip and clawed back to level the playing field. After Ssick_OnE lost the lead, the three-time SCOOP champ never got it back. Knaller77’s patience was rewarded after a bit of a cooler when SsicK_OnE went for a trap and got bit. Knaller77 would call a pre-flop raise and bet on a 8♠ 6♠ Q♣ flop. SsicK_OnE called as both checked the 3♣ turn. Ssick_OnE would shove at the 9♦ river card holding a flopped top set Q♦Q♥ as knaller77 could not call fast enough, turning over the nut straight J♦T♠. The persistence paid off as knaller77 took down the 2017 WCOOP Event #18 for $53,235.93!